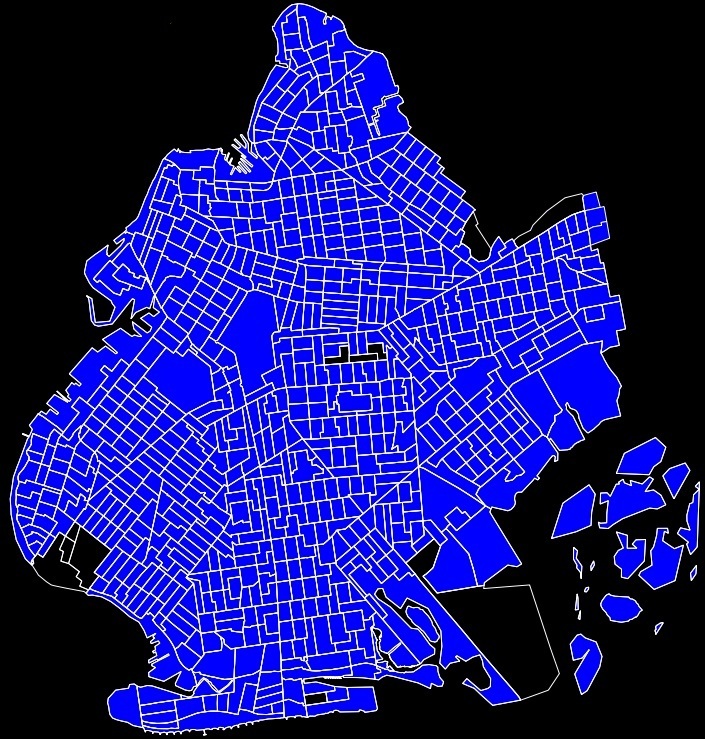 Out of the 2217 Census Tracts that make up the five boroughs of New York City, 24 have a population of zero. Ten are parks (8 part of the NYC Parks department, one part of National Parks System, and one affiliated with the Smithsonian) that have access to the public and regular visitation. Five are active cemeteries that can also be counted on to have regular visitors. Four are working environments – the Oak Point rail yards in the Bronx, the Brooklyn Navy Yard, and two tracts that make up the Kings County Hospital Complex. One is LaGuardia Airport. That leaves four Census Tracts one could reasonably call “desolate” – no permanent residents, no regular workers, and next to no visitors. One is really a ghost tract – Queens Tract 1622, which consists entirely of the Atlantic Ocean south of the Rockaways. It doesn’t even show up on the NYC Planning Department’s Census Fact Finder, but the Federal Census Bureau still lists it. Perhaps it was created to enumerate the population of Hog Island way back before it was destroyed about a hundred years ago, but I don’t even know if Census Tracts existed then. Regardless, since I can’t walk it I’m not counting it. 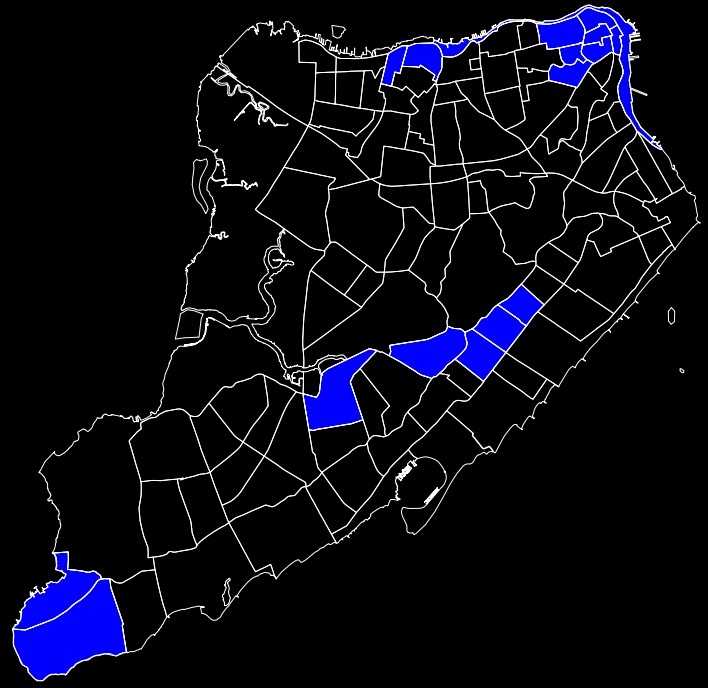 Two others consist of the series of marsh islands in Jamaica Bay. One of these tracts - Queens Tract 1072.02 - is easily accessed by the road between Broad Channel and the Joe Addabbo Bridge to Howard Beach, and houses the Jamaica Bay Wildlife Refuge offices. 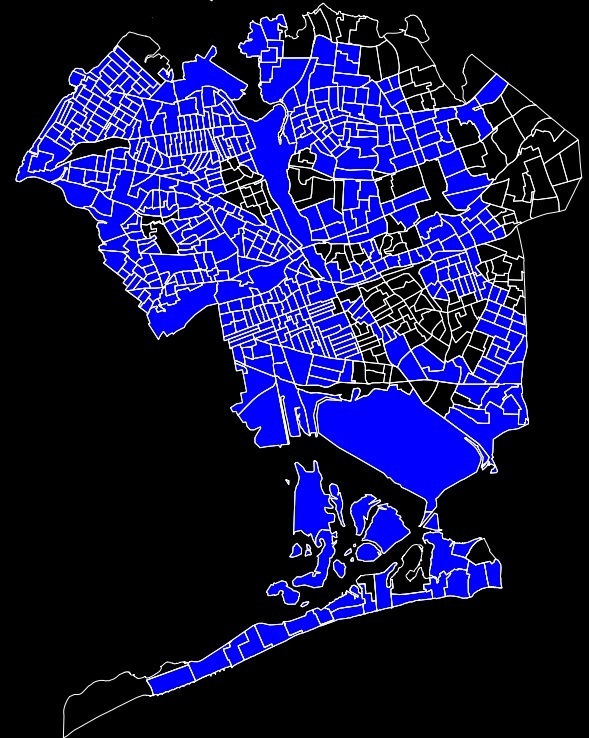 The other - Brooklyn Tract 702.03 - is tougher, but there’s a small slice of the tract that’s on the same island. It takes a bit of trampsing through marshland, but you can get there on foot. That leaves one Census Tract with no population, no workers, no land connection, and which is officially off-limits to visitors to boot. This is Bronx Census Tract 5: North and South Brother Islands, located at the western edge of Long Island Sound between Riker’s Island and the coast of the Bronx. I think it's fair to call this the most desolate tract in New York City. A couple of summers ago I took a boat with Marie Lorenz out to North Brother. It was a very enjoyable few hours of exploration and relaxation, but the main purpose for me was simply to knock off what is probably the toughest Census Tract to get to in New York City. Still, it's not exactly the South Pole - between scientists, students, reporters, and your occasional curious urbanist, the islands probably see at least a few dozen visitors a year.